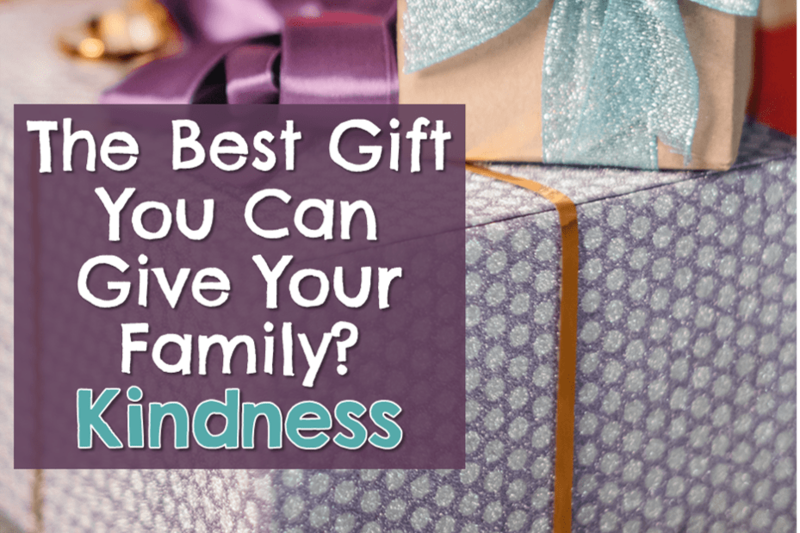 The Best Gift You Can Give Your Family? Kindness | Good Life. Better. Some people will read the title of this post and think, what the heck is this lady talking about? Of course I am kind to my family! I love them and they love me, and they return my acts of kindness with kind acts of their own! If you are one of those people then feel free to stop reading right now (and may you be blessed with good health and a long life!). But if your family get-togethers include the occasional—or not so occasional—sarcastic comment, put-down, or just generally nasty exchange then it is time to take a step back and reassess what you are doing to each other (and the kids who are observing these interactions). It took me way too long to understand how destructive this way of speaking to each other is, how it chips away at our self-esteem and undermines our relationships with those with whom we should be closest. If you too have recognized a tendency to snap at the people you care about most and you want to show more acts of kindness, keep reading for triggers to be on the look out for, and strategies for maintaining your cool. This resonates with me not just because of the times in my life when people have made me feel worthless, but because of times when I have been guilty of making people feel bad too. Sadly, in both situations, family was almost always involved. If you had known me growing up, you probably would have assumed everything was just fine in my household. My dad had a good job at a local factory, and my mom was an elementary school teacher. We didn’t have tons of money but we weren’t living paycheck to paycheck, and there were always presents under the tree at Christmas. The three kids—I am the youngest, my brother was the oldest and my sister was in between—did well in school and participated in all of the right extracurricular activities. What wasn’t obvious to outsiders, however, was the anger and disdain that could flow from my mother without warning (but only towards family—with others, she was sweet as pie!). The abuse wasn’t physical, but the constant put-downs and dismissal took their toll. With just a few words, she could turn any certificate into a worthless piece of paper, an achievement into something that anyone could have accomplished if they had thought it worthwhile enough to go after. Even as a child, I knew something wasn’t right. Aren’t mothers supposed to love their kids and want to spend time with them? To build them up and help them believe in themselves? But knowing something wasn’t right didn’t mean I knew how to respond. Despite how miserable her words made me feel, it was all I knew and before long sarcasm and put-downs were my main form of interactions with her and with my brother and sister (my dad having passed when I was 15). More often than I want to admit, I found myself responding with a witty retort—never thinking how it might make the person on the receiving end feel—or being impatient or dismissive of what someone else thought interesting. It took losing my brother to suicide to really understand how this constant stream of un-kind words affected us far into adulthood. I don’t blame myself for my brother’s death—suicide is more complicated than that—but remembering the “funny” comments I made at his expense is something I will have to live with for the rest of my life. Now, after a lot of hard work, I am able to recognize that what I was taught was clever was actually cruel. Now, I am in control and can choose to be kind and patient, instead of belittling and dismissive. 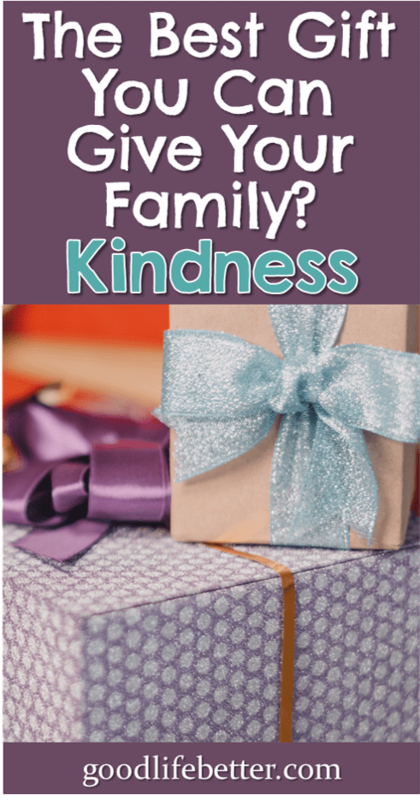 While the holidays aren’t the only time of year we can be mean to those we care about, there are some unique aspects to the holiday season that I believe have the potential to bring out the worst in us. Here are some triggers I have identified and ways to manage them. Disruptions in our routines can affect us more than we like to admit. Everything from eating richer food, going to bed later (and perhaps on an unfamiliar mattress), and being exposed to new germs and bacteria so we aren’t feeling our best can turn us from mild-mannered Bruce Banner into an angry Hulk faster than you can say pumpkin pie. If this is you, then plan in advance how you will keep your negative comments and impatience in check. One thing I do is always get my own hotel room. My sister knows that when I head back there for a few hours between lunch and dinner it isn’t because I don’t want to spend time with her, but because I want the time we do spend together to be the best it can be. If a separate hotel room isn’t an option, identify other opportunities to regroup. Is there a dog that needs to be walked? An errand that needs to be run? If heading out to the movies isn’t in the budget, what about finding something on Netflix that people can sit quietly and watch? And if it is in the budget, remember that not everyone has to see the same movie. If the latest animated movie is going to send you over the edge, watch something else! Ultimately, it is up to us to prioritize kindness and do what we need to do to make it happen. Take some time to reflect, identify some strategies and implement them. I have found disappointment to be one of the most under-rated triggers out there. That something doesn’t turn out exactly as we expected is usually the result of a confluence of events, but that doesn’t keep us from taking it out on the person standing in front of us at the time. I don’t have the perfect answer to how you remain calm as you watch your best laid plans go up in a puff of smoke (hopefully, not literally) but here are a few options. On the front end, resist having unrealistic expectations. It is understandable that you want everything to go and be perfect but inevitably, something will go awry. Your ability to adapt may be the thing that keeps a small glitch from turning into a complete catastrophe. On the back end, try to maintain perspective by asking yourself what is the worst thing that could result from the disappointment. Is it that you don’t get the exact photo you wanted to post to Facebook, or you order out for pizza because the roast resembles charcoal? If so, shake it off. Neither of those things is worth making a person you care about feel like dirt. 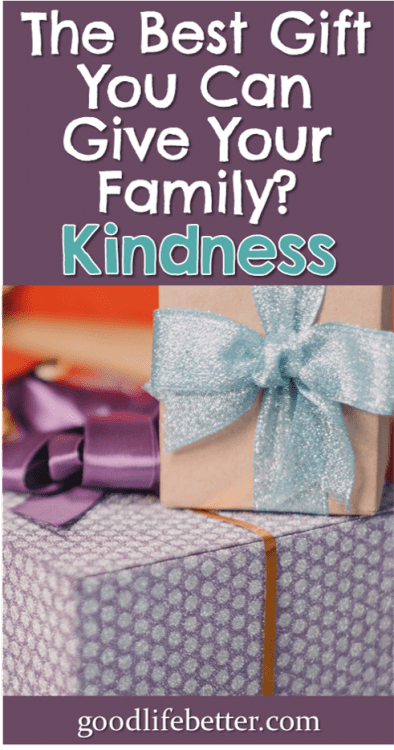 While it is great that you are trying to be a kinder person, your family members may not have gotten the memo (although feel free to forward this blog post if you think it will help!). If your family has perfected the ability to bring out the worst in you (and, let’s be honest, if anyone has done that it will likely be family), it is your responsibility to resist walking into the traps they will set. There is no reason to revisit the situation. I prefer to focus on how I/we will move forward. I don’t wish to discuss that right now. I have moved on/I am not that person anymore. If they insist on continuing the conversation, remember that while you can’t prevent them from asking a question or bringing up a particular topic of conversation, you are in control of how you respond. Walking away might be your best—and only—option. How Have You Increased Your Acts of Kindness? What have you found to work in preventing your inner Hulk from emerging? How are you able to consistently respond with kindness instead of frustration (or worse)? Please let me know in the comment section below! Also, if you are interested in what a few other personal finance bloggers have to say about acts of kindness this holiday season, check out the links in the list below. Thank you! I am glad you found it meaningful and appreciate being able to contribute to the @actsofkindness chain! 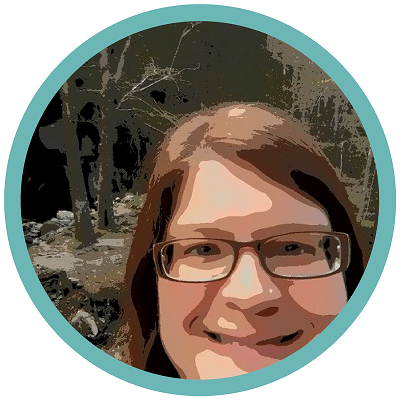 Hey Jenny – really enjoyed this post. Being a kinder person – especially to family – is something I’m consciously working to improve. My parents have been divorced for more than 45 years, but both sides of my family are still prone to communicating through sarcasm and put-downs. Seemingly small things, but they a take a toll. 1 – changing my own expectations, essentially lowering them to avoid being disappointed. 2 – meditation. This has been a game changer for me since I started about a year ago. I find that meditation makes me much less reactive. Tim Ferriss talks about meditation in the latest episode of his podcast – the one i which he provides his own answers to the questions he most often asks his guests. The benefit he describes, which I have found myself, is that meditation helps increase the space between stimulus and response. The stimuli are those little verbal pokes and jabs or those little twinges of anxiety that hit us throughout the day. These things tend to lose their power over me when I am able to be less reactive. Meditation gives me a kind of insulating space in which I can remind myself that I don’t need to respond to these stimuli. The world can never have too much kindness so thanks for helping us spread a little more.